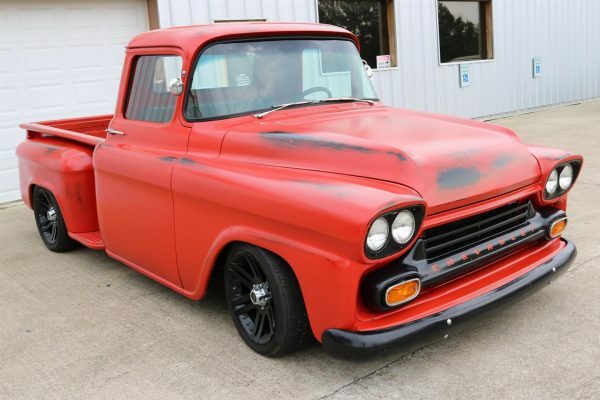 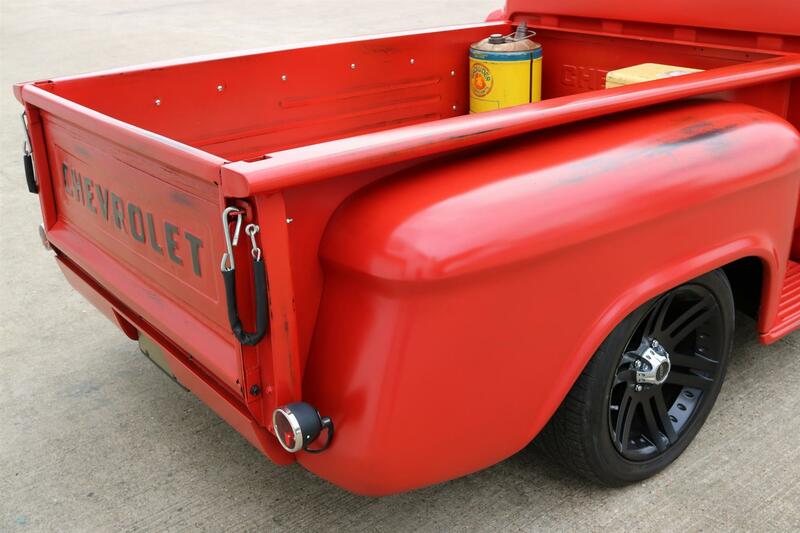 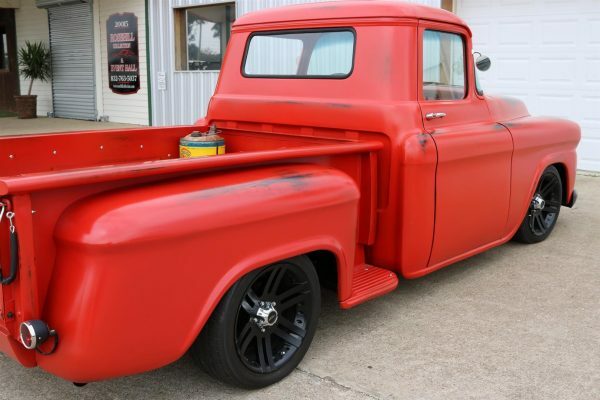 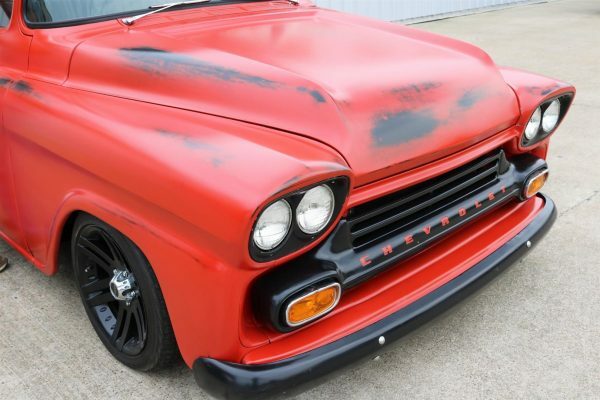 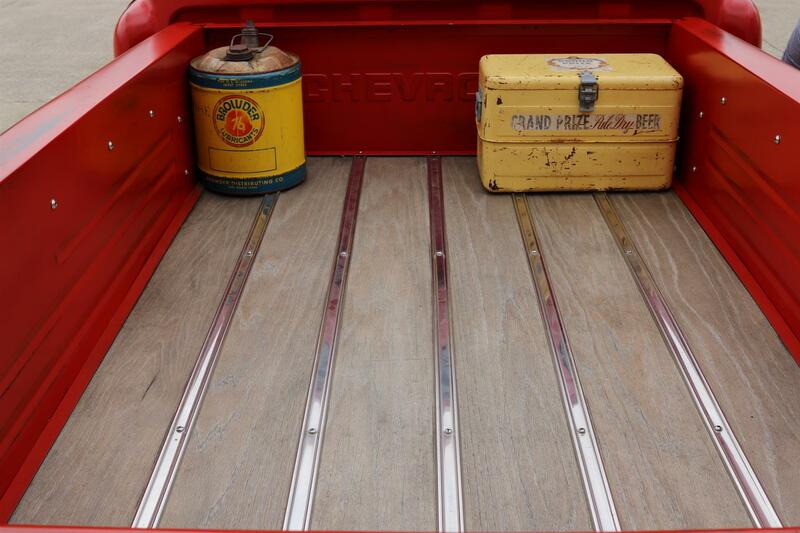 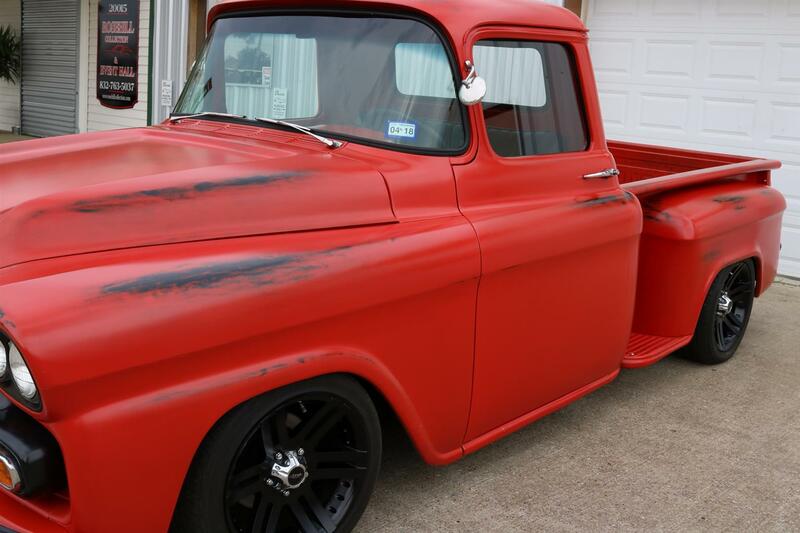 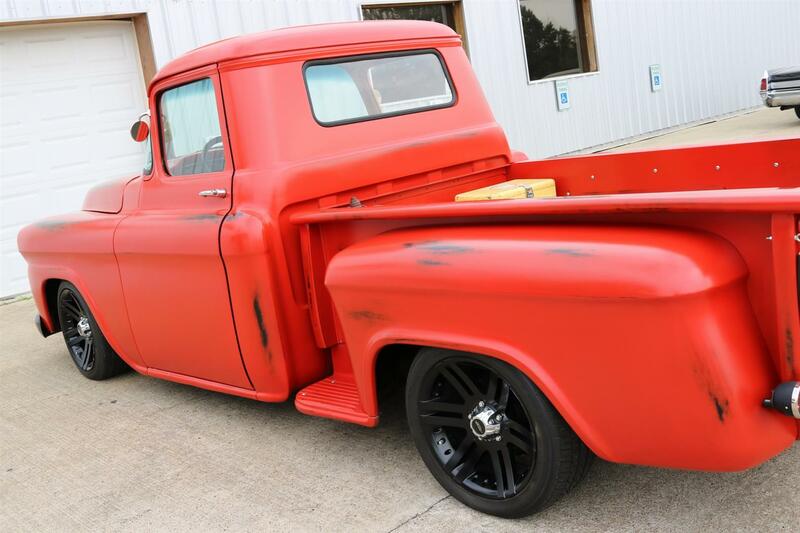 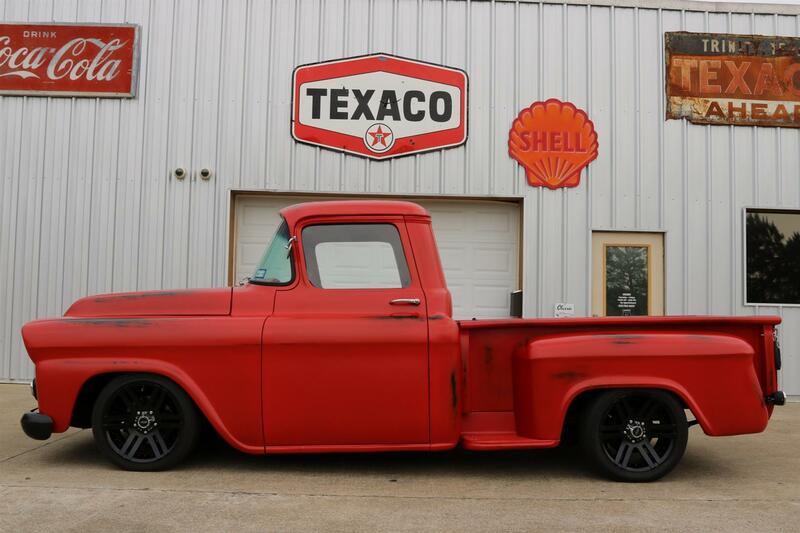 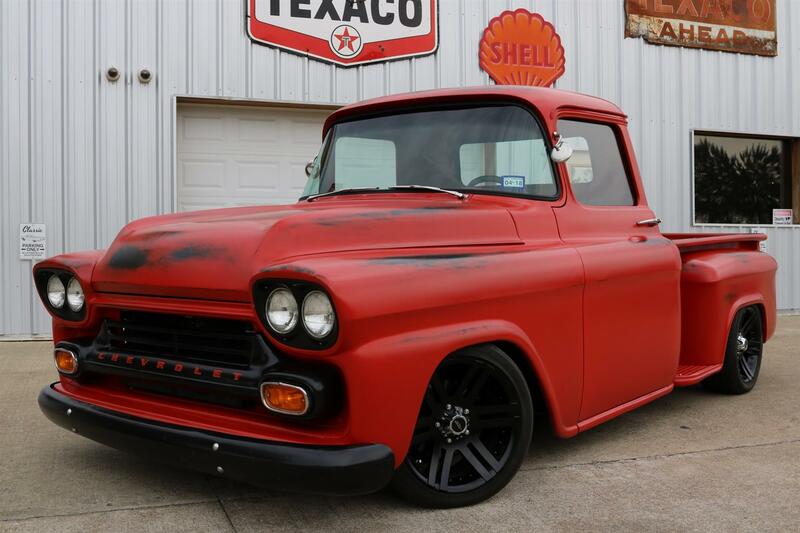 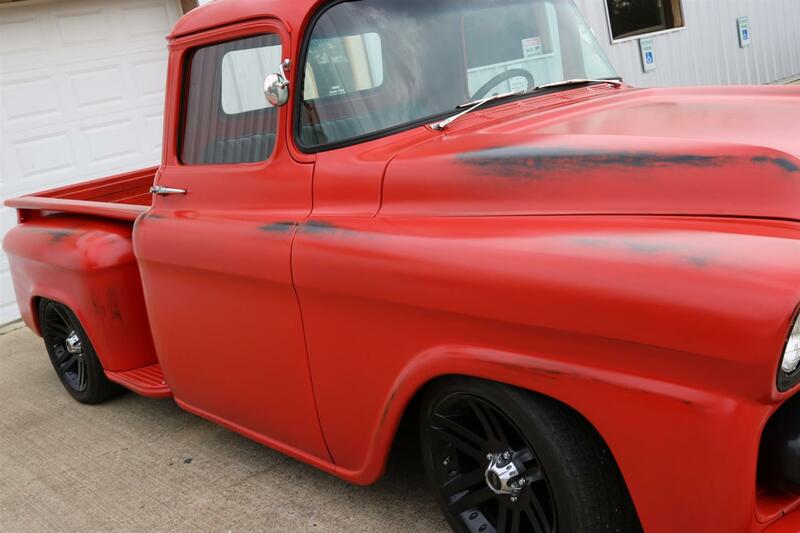 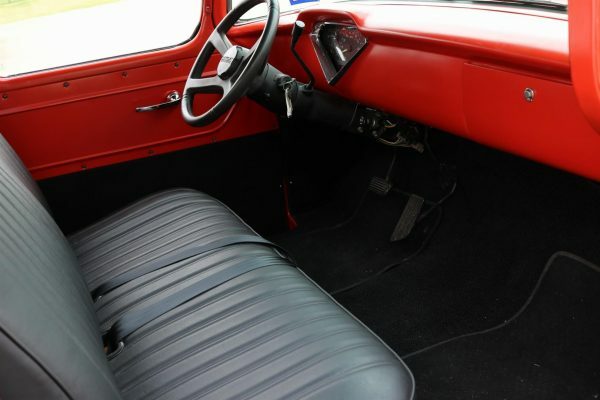 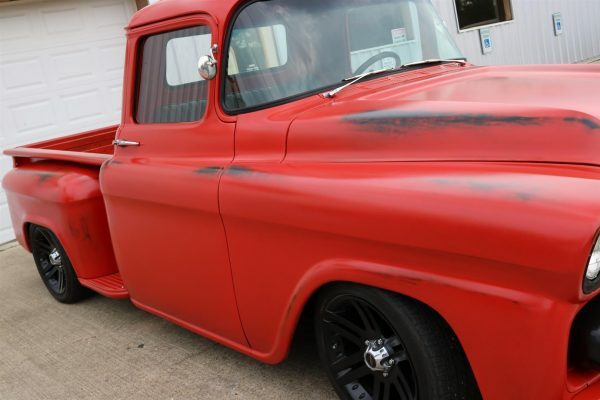 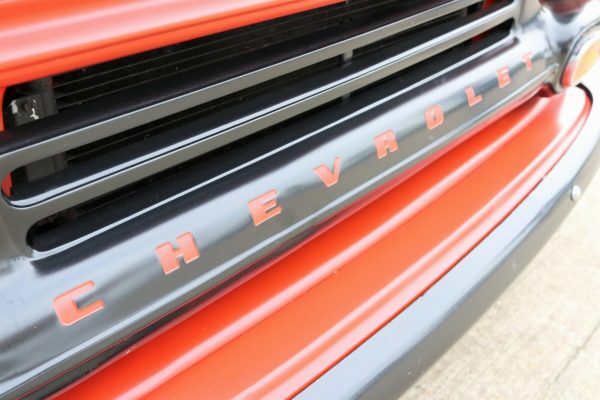 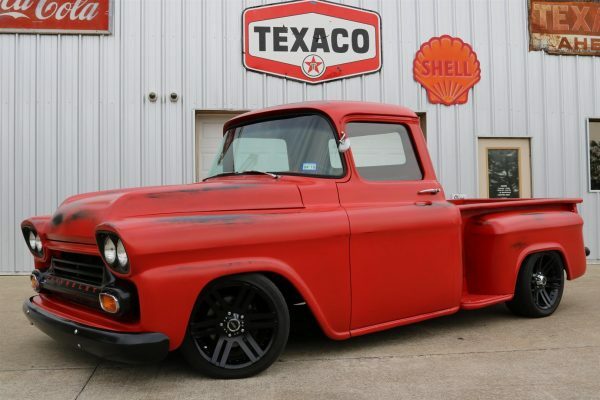 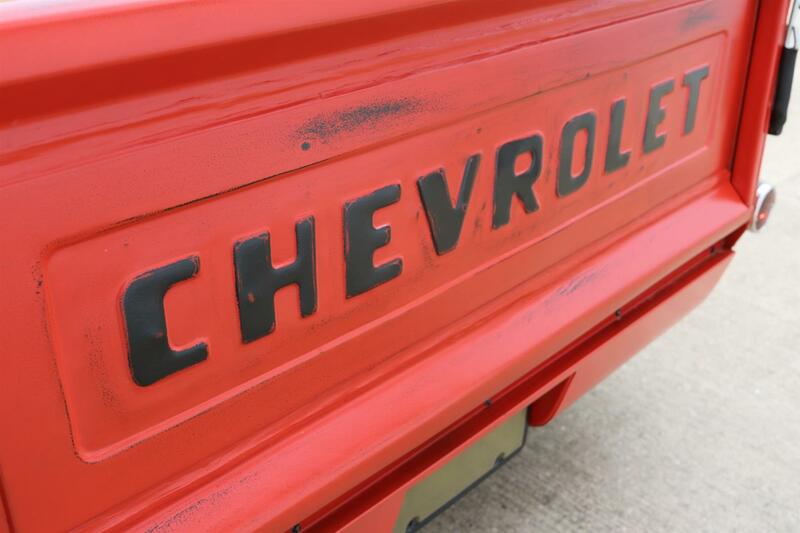 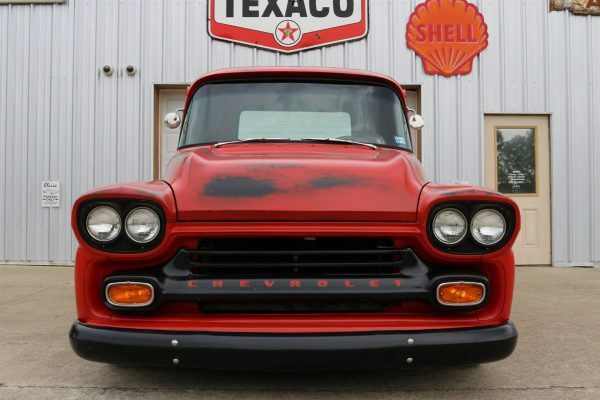 1958 Chevy Apache Resto-mod – 4.3 V6, 4L60E Auto, 88 Tahoe Frame/Suspension, Red w/ Black Patina Accents, Wood Bed! 1958 Chevy Apache Resto-mod – Introduced in March of 1955, Chevrolet’s new ‘Task Force’ series of trucks was quite a departure from their existing line of pickups. 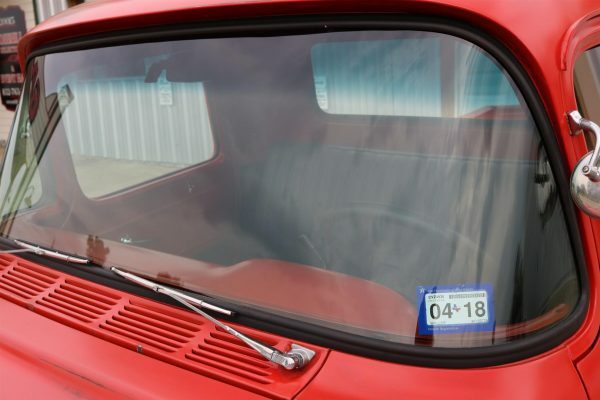 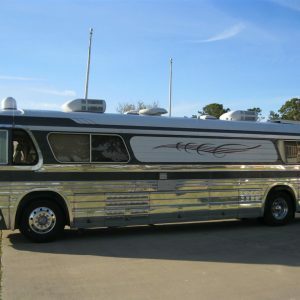 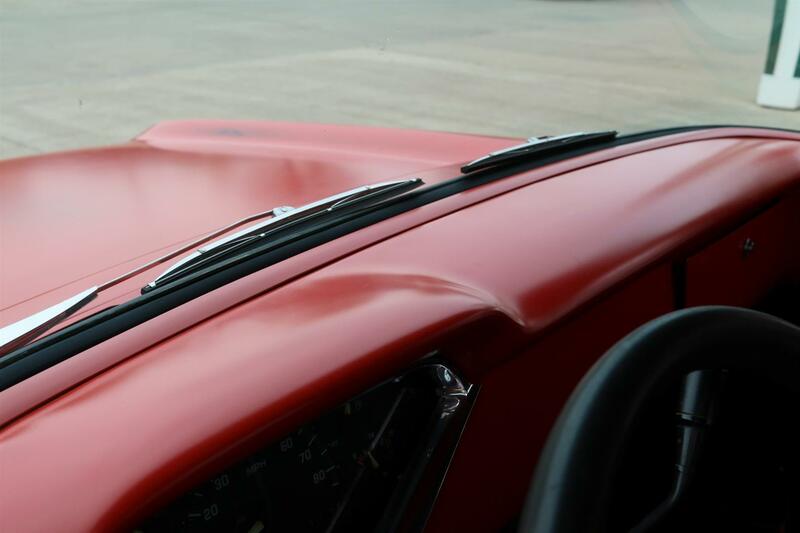 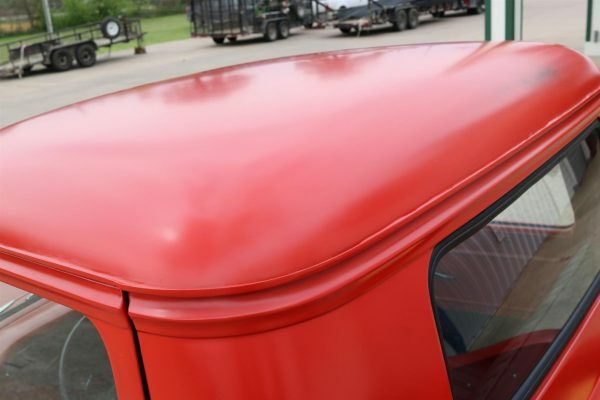 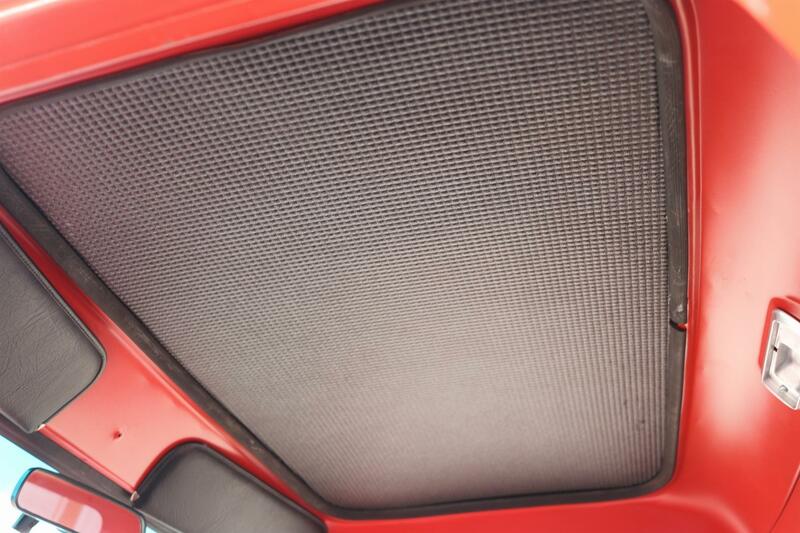 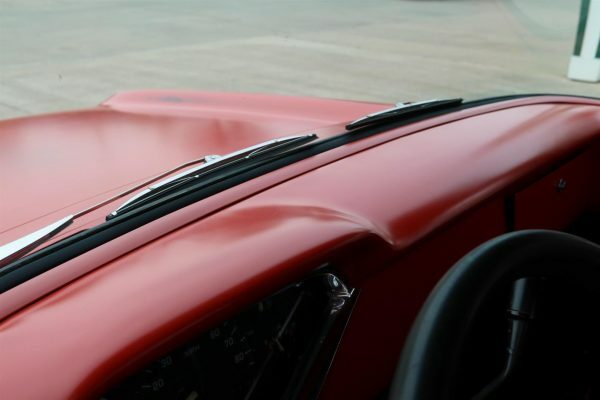 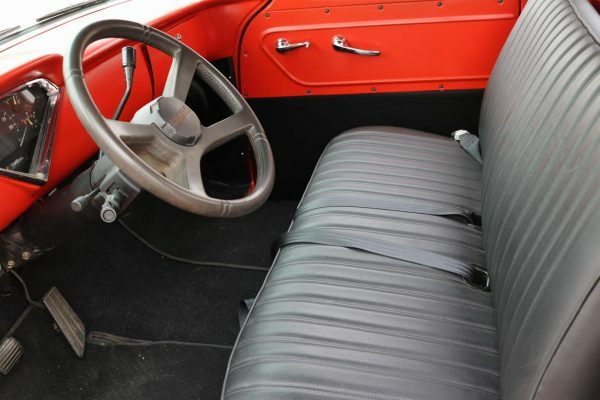 Smooth, rounded sheet-metal replaced the old pontoon-style fenders, and large, wrap-around windshield glass offered better visibility and gave a more contemporary look. 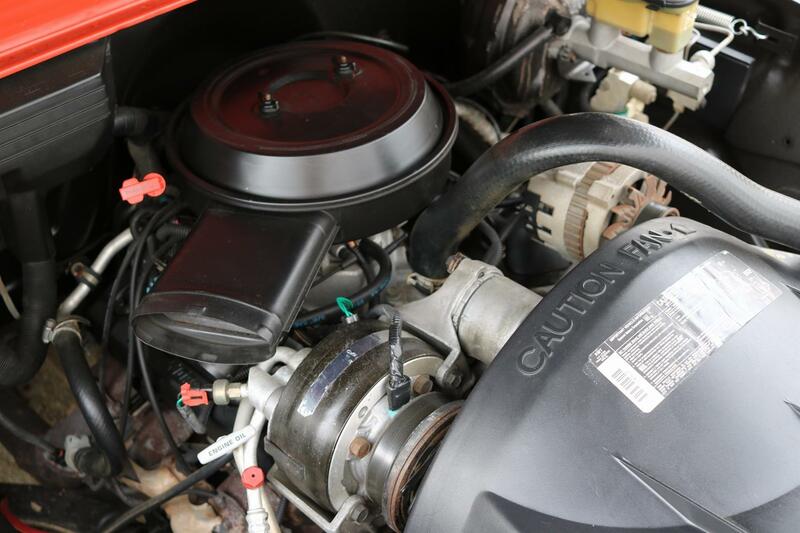 And for the first time, an eight-cylinder motor was available under the hood. 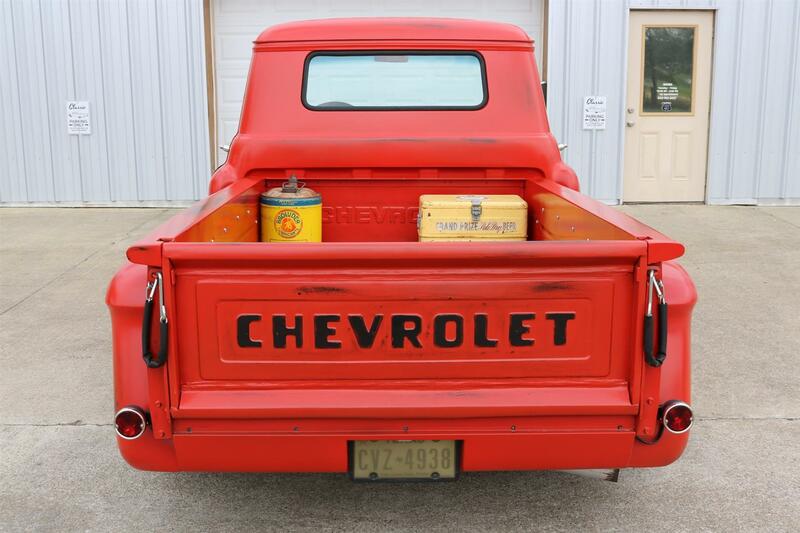 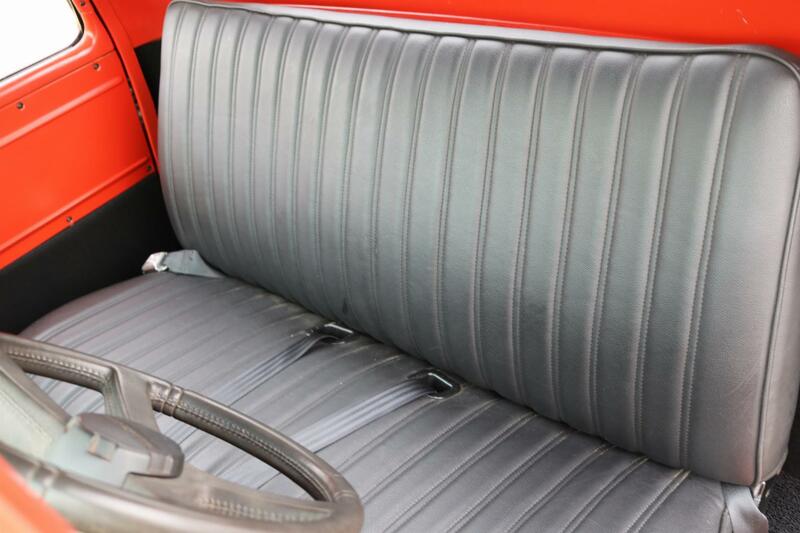 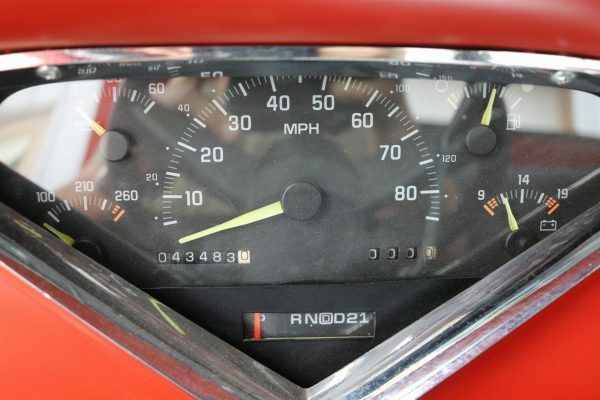 In 1958, styling on all Chevy passenger car and truck models were changed to accommodate the industry-wide switch from two to four headlamps. 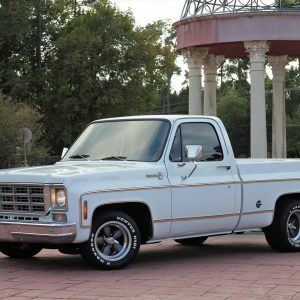 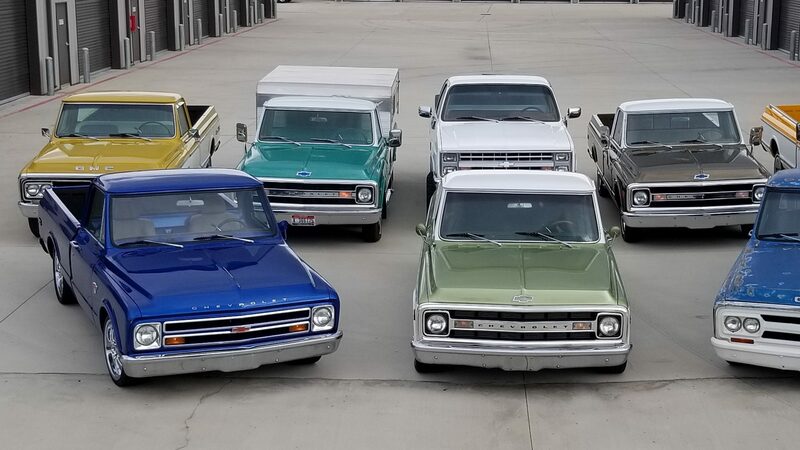 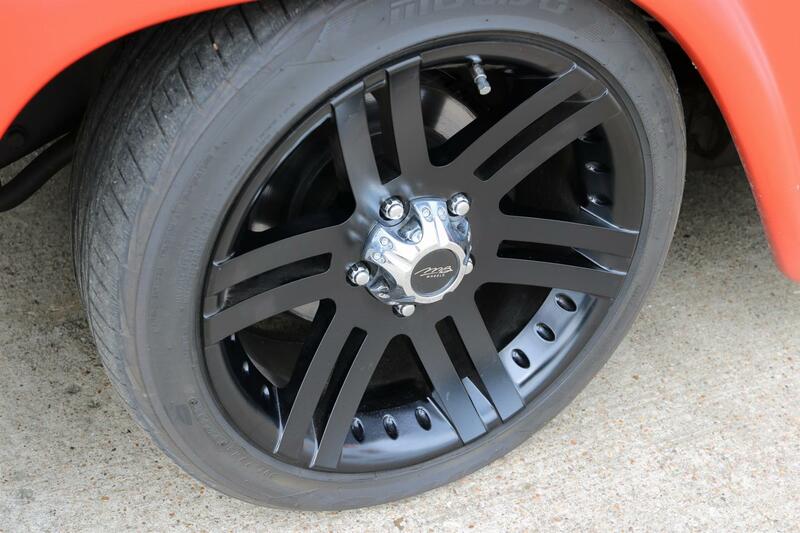 The new Apache model came standard with painted grille and front bumper, and could be upgraded to chrome. The new Fleetside model featured a smooth-sided cargo box and larger bed capacity. 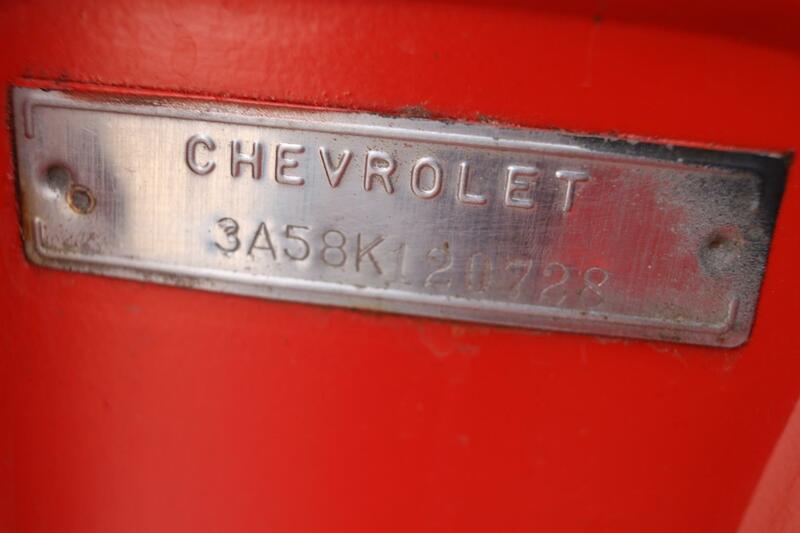 Model designations were shortened to 31, 32, 35 and 38 series. 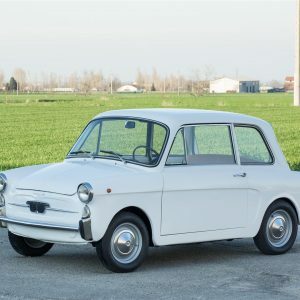 A recasting of the 283 small-block gave thicker cylinder walls and side motor-mount bosses. 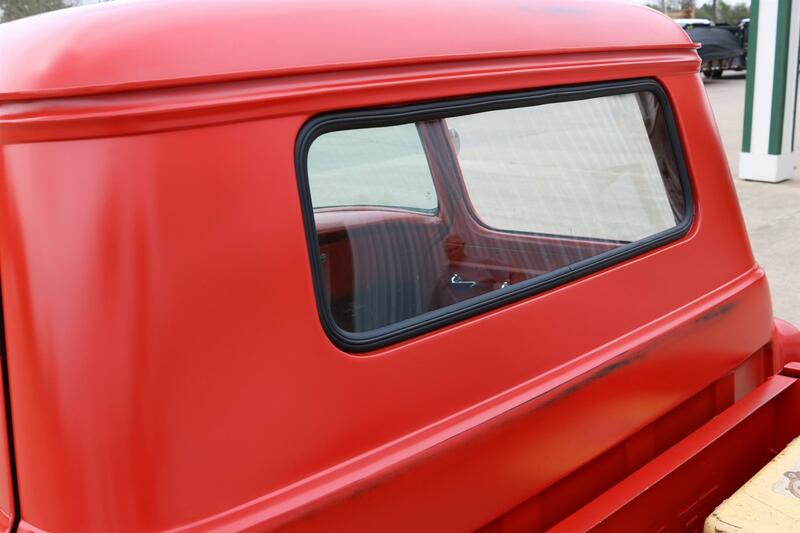 4.3 V6, 4L60E Auto, 88 Tahoe Frame/Suspension, Red w/ Black Patina Accents, Wood Bed!